As animals migrate, winter brings changes to the wildlife you see in the Pacific Northwest. Our Irvington neighborhood is no exception. 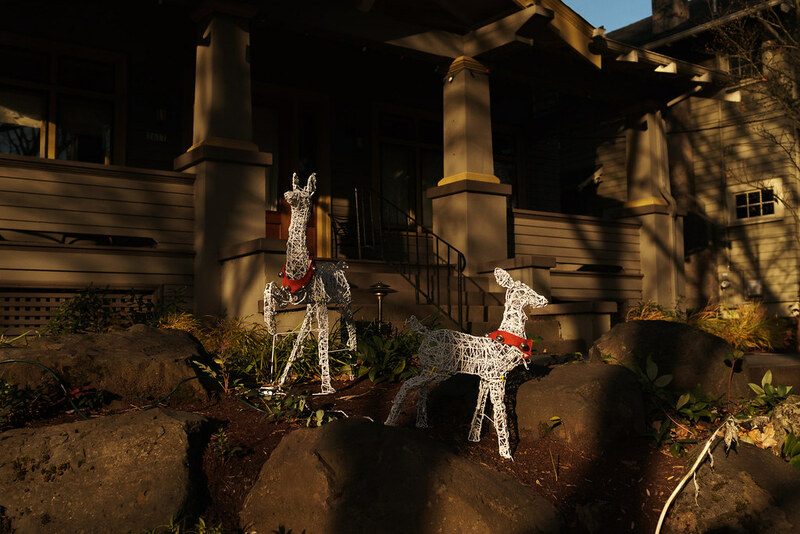 This entry was posted in Street & Travel and tagged Christmas, Irvington, Oregon, Portland, reindeer. Bookmark the permalink.